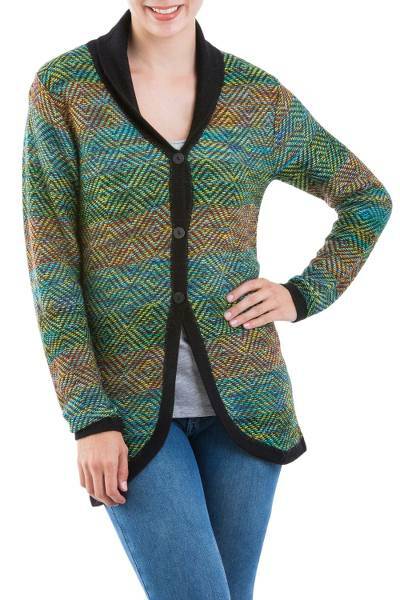 100% Alpaca Wool Cardigan with Buttons from Peru, "Green Diamonds"
Diamond motifs with hues of green, teal, and brown zigzag along the length of this cardigan, with black borders. The sweater is woven from 100% alpaca fibers with buttons on the front for a comfortable and warm fit. 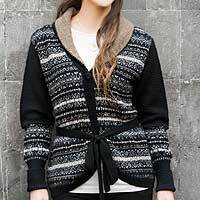 Peru's Fernando Cano presents his own designs in this elegant cardigan. 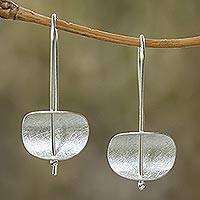 I love this work from this Artist's .Excellent work.Excellent combination of green and black.Excellent work for winter wear.